OK, OK, rewards are the fun part of an incentive program. I get it. But I want to take a moment to talk about why incentive programs are important in the first place and how great rewards can help businesses achieve their goals. Increasingly, our clients are looking for ways to optimize their channel sales. By incentivizing the key players throughout the sales channel, companies can achieve sales growth, collect valuable marketing data they might not have access to otherwise, and increase customer loyalty. Whether that customer happens to be the end consumer or a B2B channel partner, who buys products at a various point in the sales channel, such as a contractors, dealers, or distributors. With a little bit of structure, strategy, and the right incentive software, your channel partners can be rewarded for the actions that help your business achieve its goals. However, the effectiveness of an incentive program is also tied to the desirability of its rewards. So it’s important to keep a pulse on what customers and channel partners respond to and what rewards feel meaningful to them. 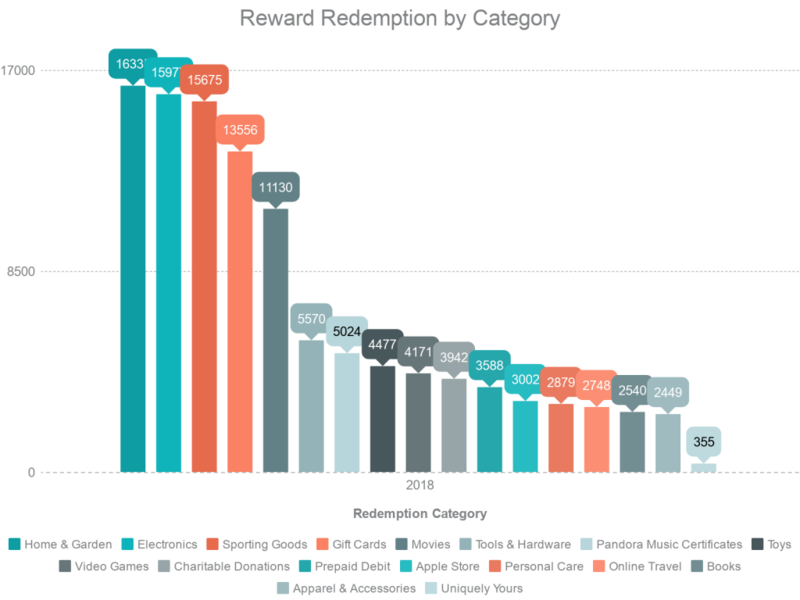 Without further ado, the most popular rewards of 2018 for channel management and customer loyalty…. Once again, our Top 5 most popular categories for point redemption (by volume) remains unchanged from last year. However, in terms of redemption by total cash value, Electronics, was far-and-away our top performer to the tune of $4.5 million. Customers and channel partners will really put in the work for those big-ticket tech items! Uniquely Yours is our program for the people with astounding numbers of points—the cream of the crop. Basically, we’ll stop at nothing to get your best participants what they want. Our catalog is extensive, but it doesn’t stop there. We do custom reward redemptions for the top performers. I’m talking a family set of Rolexes® or his-and hers-Ford F-150s®. So while Uniquely Yours only accounted for 355 items in 2018, those items were worth a whopping $1.3 million. We’re in the process of putting together some stories about our absolute craziest reward redemption stories, so be on the lookout for that. In the meantime, hopefully this provided some inspiration for your incentive program. Best of luck to your customer loyalty and channel partner management goals of 2019!